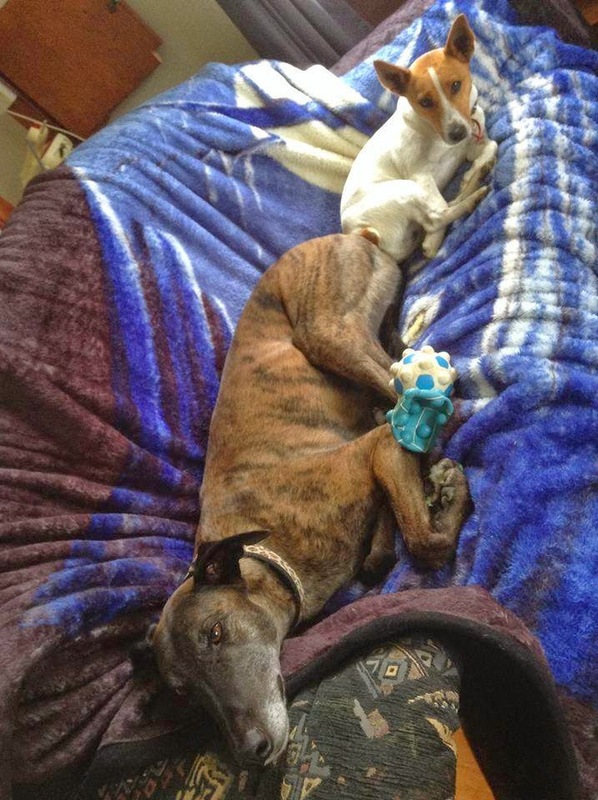 Nightrave greyhounds blog: Update for Jonty's Fan Club! Update for Jonty's Fan Club! Jonty went to live in Hunterville with Wendy, Jim and Jack The Ginger Cat on 16th of February. Wendy and Jim had recently lost their beautiful greyhound Corey (Ravaillac) to Cushing's Disease, and their JR Lauchie went shorty after due to old age. 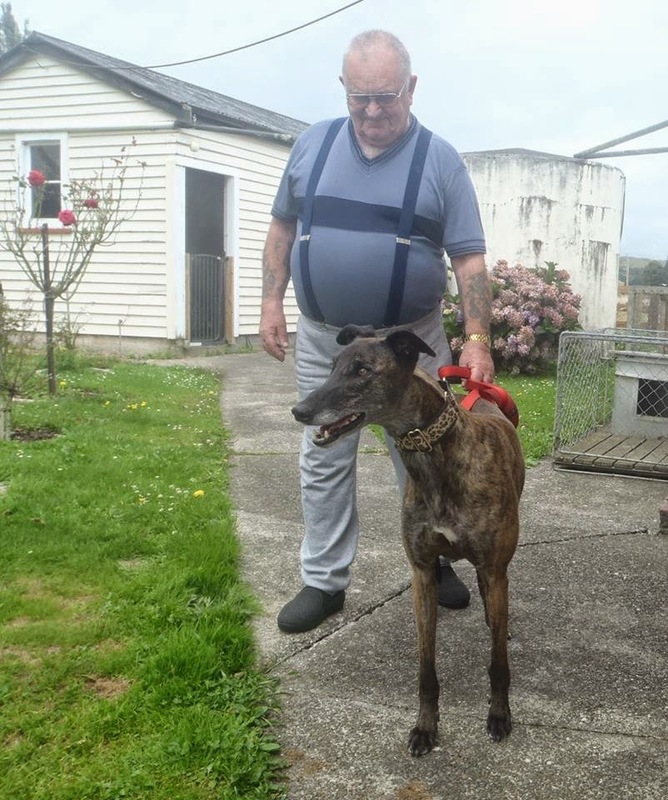 Wendy and Jim fell in love with Jonty after meeting him at our place -and he joined them shortly after at their lovely rural property in Hunterville. It is a beautiful day for NZ retired greyhounds!